From the Star Beacon, Ashtabula, Ohio, April 1, 2009: Dunkirk, N.Y. - Floyd P. Barnum, age 89, of Dunkirk, N.Y., died Sunday afternoon, March 29, 2009, at the Absolut Care of Dunkirk. 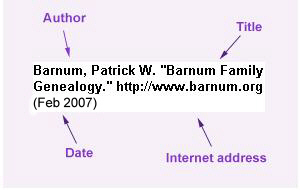 He was born Sept. 13, 1919, in Painesville, Ohio, the son of the late Hugh and Minnie (Perry) Barnum. A U.S. Army Veteran, he served during World War II under General Patton. Mr. Barnum had been employed as a pipe fitter for the Diamond Shamrock Company in Fairport, Ohio. He was a member of St. John's United Church of Christ and a life member of the VFW in Ohio. An avid fisherman and gardener, he also enjoyed traveling and camping. He was devoted to his family and friends. Survivors include his wife, Marion (Raynor) Barnum, whom he married April 13, 1985; two daughters, Lois Obenour of Lakeland, Fla., and Sharon Nichols of Cleveland; one son, James Barnum of Cleveland; one step-daughter, Bobbi Shaw of Dunkirk; two stepsons, Daniel (Edith) Weigle of Florida and Ronald (Linda) Weigle of Ohio; one brother, Vern (Judy) Barnum of California; and several grandchildren, nieces and nephews. Besides his parents, he was preceded in death by his first wife, Ruby (Prunti) Barnum; one brother, Willis Barnum; and one sister, Florence Adams.